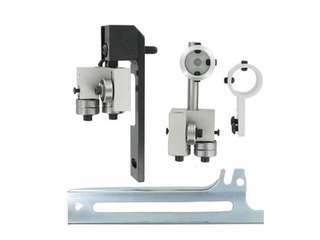 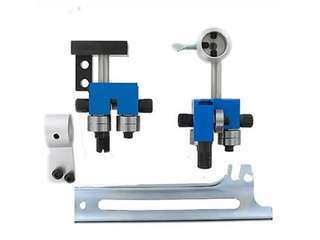 Delta 14" Hex Riser Block conversion kit is for use with Delta 14" saws that have a hexagonal upper guide post and a riser block installed. 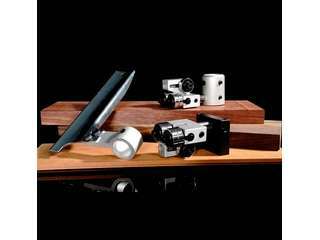 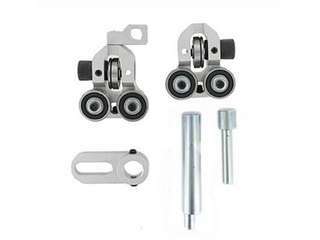 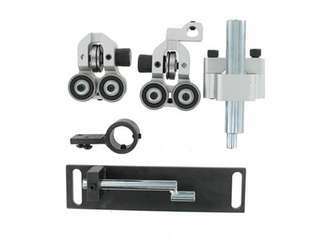 The Carter Delta 14" Micro-Adjust upgrade kit for Riser block saws, updates your saws performance through the use of Tool-Less Micro-Adjustable guides. 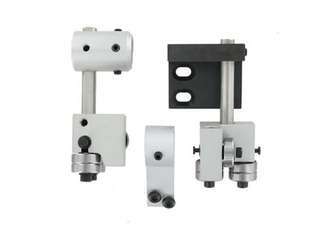 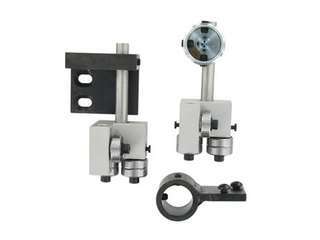 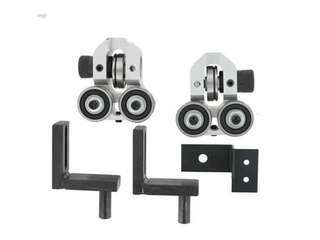 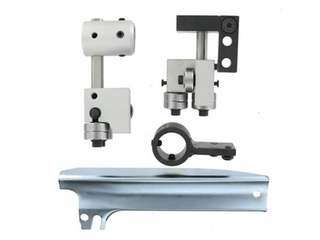 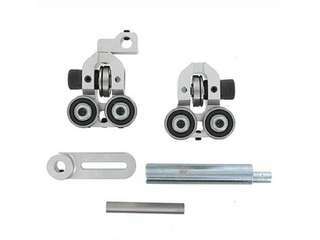 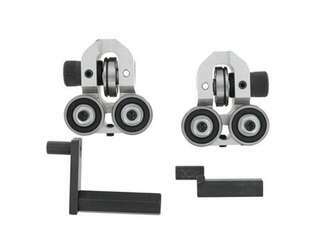 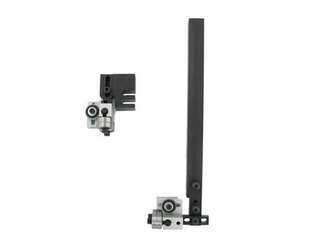 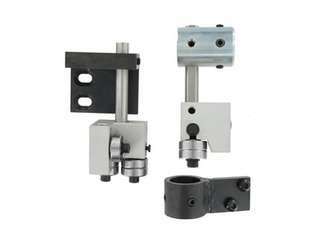 This kit is intended for use with saws that have riser blocks installed. 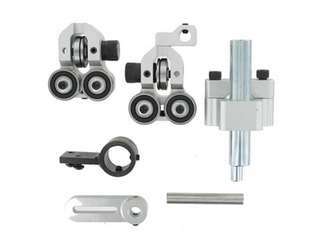 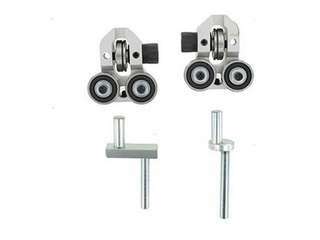 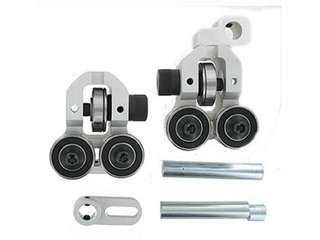 This provides your saw with reduced blade friction, improved cutting accuracy, and is adjustable for blade widths from 3/16" to 1"
Grizzly 14" Band Saw Guide Conversion kit The Grizzly 14" conversion kit updates your saws performance through the use of sealed ball bearing roller guides. 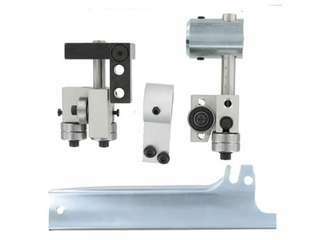 This provides your saw with reduced blade friction, improved cutting accuracy, and is adjustable for blade widths from 3/16" to 1". 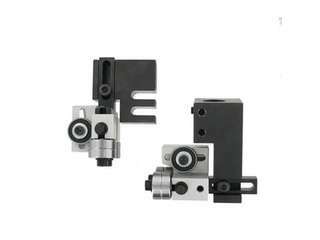 Improves cutting accuracy and is adjustable for blade widths from 13/16" to 1"
Adjustable for blade widths from 13/16" to 1"
improves cutting accuracy, and is adjustable for blade widths from 13/16" to 1"
Improves cutting accuracy, and is adjustable for blade widths from 3/16" to 1 1/4"